Start taking classes at Inferno Hot Pilates and other studios! 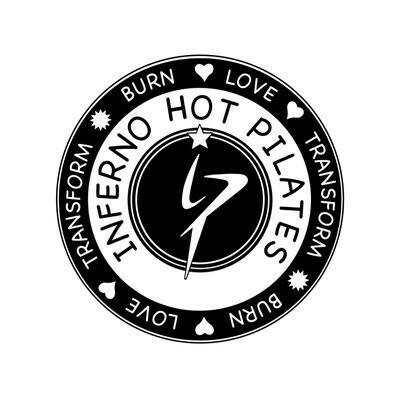 Inferno Hot Pilates Offers four types of classes 1) Inferno Hot Pilates is a 60-minute fitness class, which uses Pilates principles, high-intensity interval training and is performed in a room heated to 95 degrees and 40% humidity. Bring a mat, towel and water. 2) Cyclone 45, a class where you can tap into your power--feeling amazing for the rest of the day. Move to the beat, listen to the latest songs, while listening to your body. For 45 minutes, you can focus on yourself and see everything from a new perspective. 3) Cyclone Bootcamp is half indoor cycling and half bootcamp. Be prepared to use kettlebells, TRX suspension and more. Bring tennis shoes/sneakers. 4)Bootcamp is a 60-minute full body workout. Be prepared for everything! Hot Pilates: please bring a mat, towel and water! Cyclone 45: bring your SPD cycling shoes if you own them. The studio also rent cycling shoes for $3. Cyclone Bootcamp: please wear tennis shoes or sneakers. Bootcamp: please wear tennis shoes or sneakers. The instructor was amazing! Best workout! Loved this class!!! And the staff were so sweet and kind! Anastasia is a very motivating trainer , making sure everyone is doing exercises right and challenging you to a max result of your work out . This class was a challenge and so much fun!! One of my favorite classes in the city!